A week later and its time for round two of the series. This time in Peterborough. Again the weather was lovely and warm and the slightly overcast sky cleared up in time for the race. 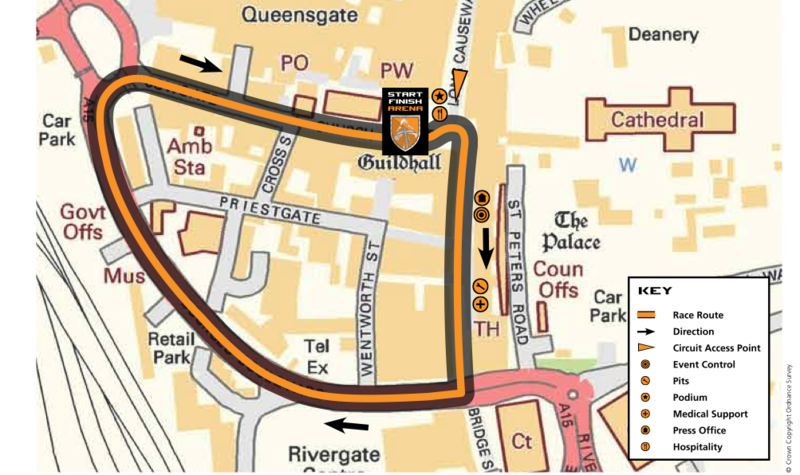 After using the Peterborough Rugby club as changing facilities and having our race briefing it was time to get back into the city centre for a warm-up around the course before lining up for the start. After the sighting lap behind the moto the race was off. 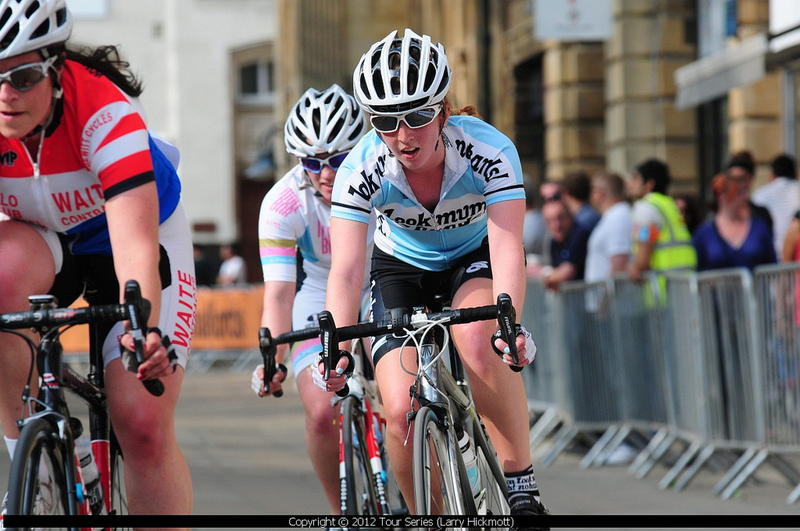 Quite quickly the winning break was made by series (and sprints) leader Annie Simpson (Matrix Fitness-Prendas), Node4 rider Harriet Owen and Hannah Barnes (Team Ibis) who went off the front and put a very sizable gap into the chasing bunch. 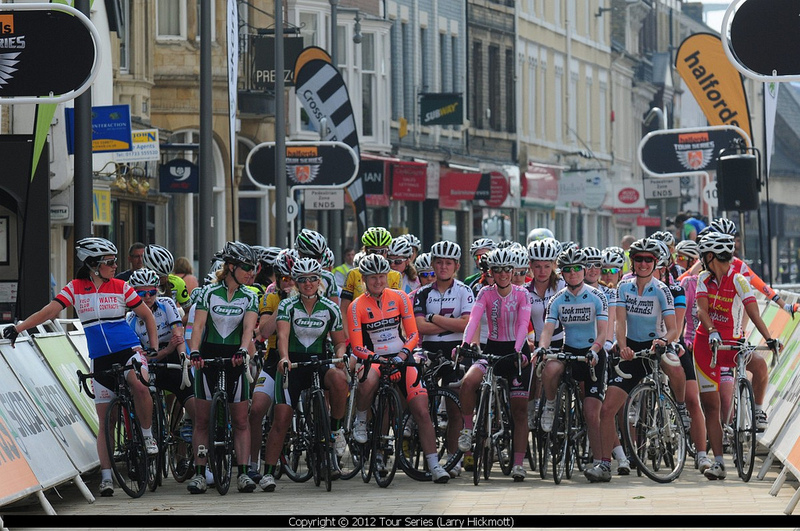 I was quickly defeated by the rapid pace being set at the front of the race but luckily got in a good group of girls to work with for the remainder of the race. 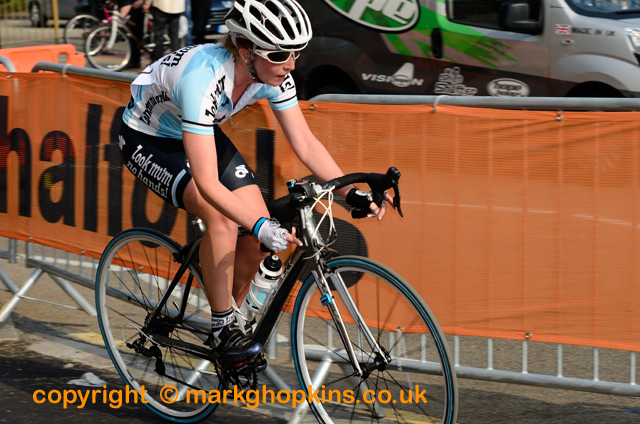 Despite some confusion as to when the final lap was and a nasty crash for Sarah Reynolds of Matrix-Prendas Lydia managed to stay upright (if you see the photos of the crash you’ll see it was a miracle) and came across the line in sixth. Look Mum retain third position in the team rankings! 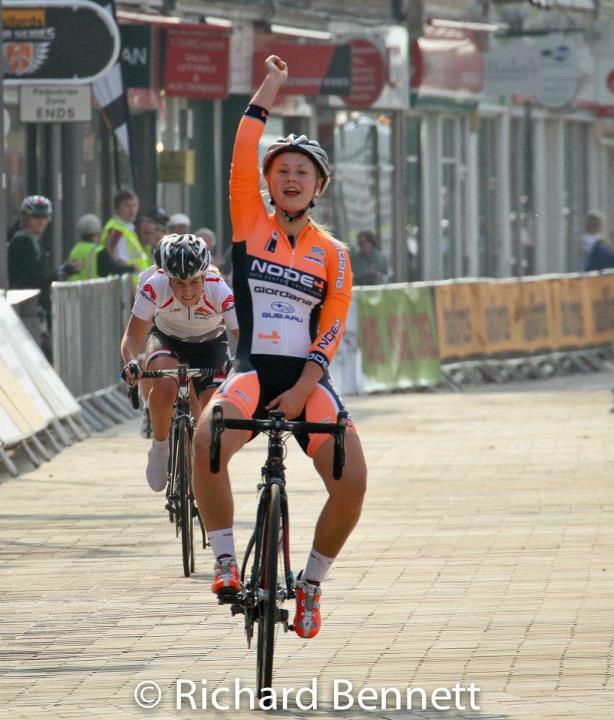 6) Lydia Boylan, Look Mum No Hands! 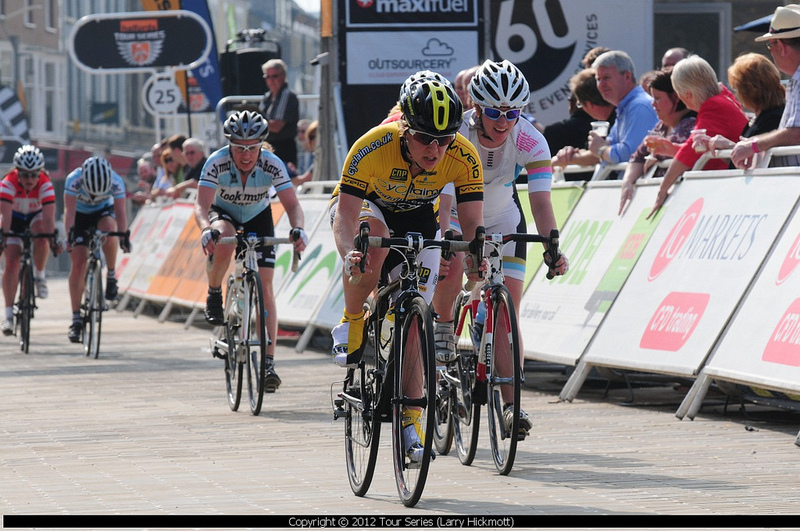 Unfortunately that is the end of the tour series for me as I have final exams next week and afterwards I’ll be going to France with Tom for a couple of weeks in the sunshine. 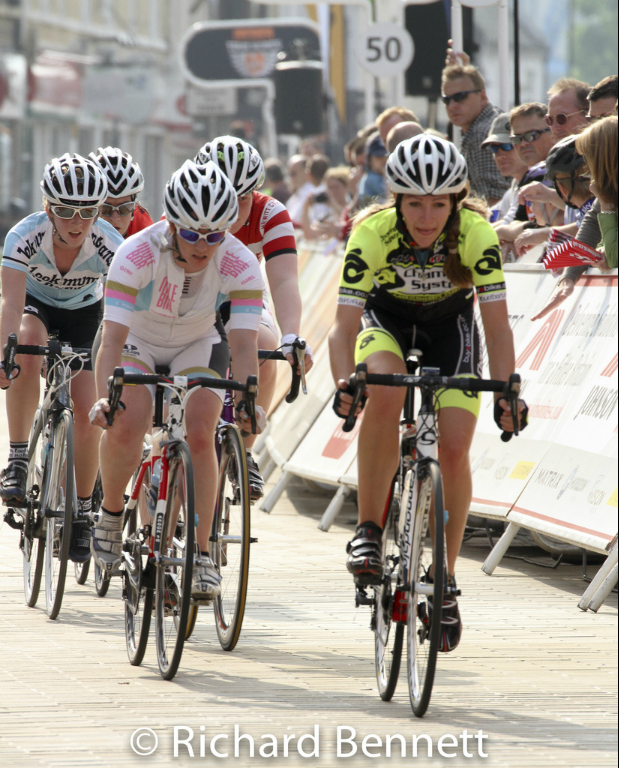 I really enjoyed the experience of racing in the tour series – having the crowds, cameras and noise makes it really exciting! 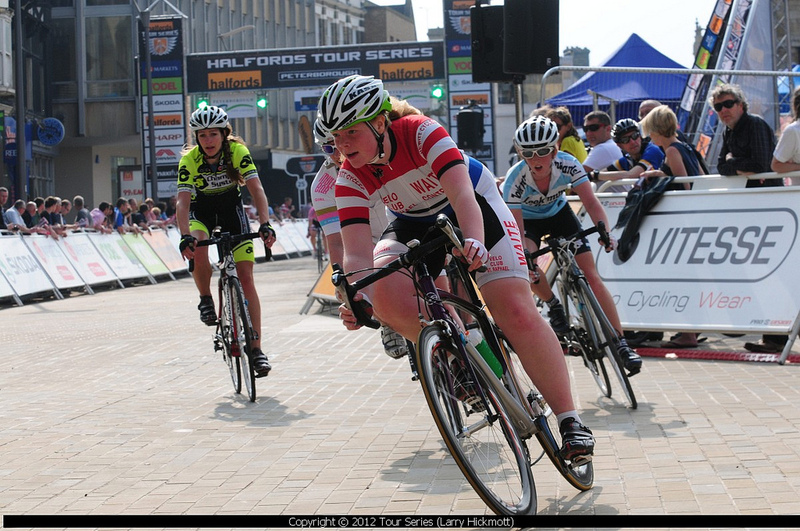 Although I didn’t do particularly well in the races I feel they were great experience and also loads of fun. As only my 7th and 8th races I’m still only at the very start of learning racing and I’m proud of how well I did. I am even more proud of my team who are really showing the big women’s teams how good we can be, even just as an amateur team. Go Honey Badgers!! Maybe if I stopped doing races containing World Champions I might be able to become a third cat…..